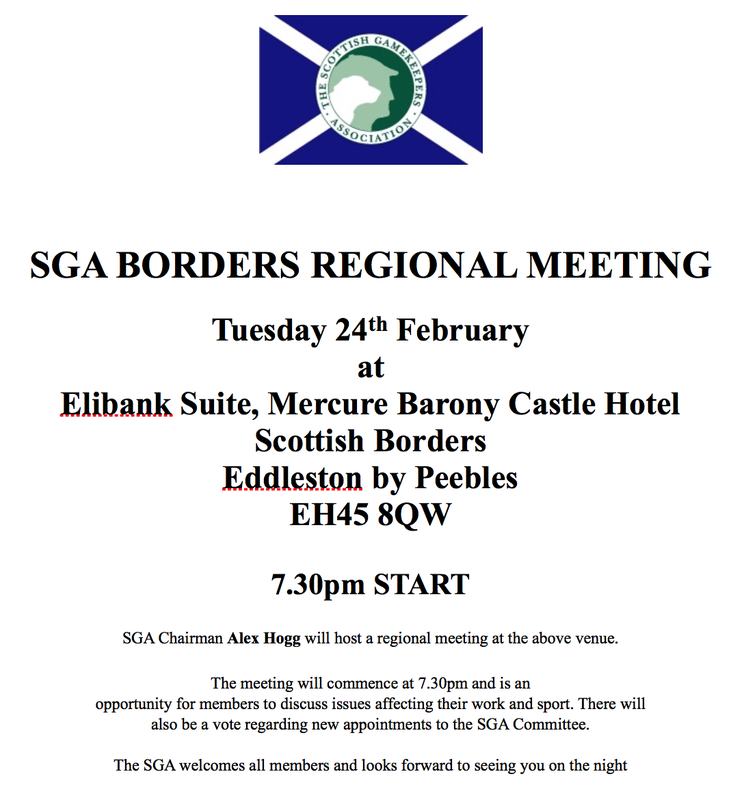 SGA Members in the Borders are being invited to an SGA Regional meeting, hosted by Chairman Alex Hogg, on 24th February at 7.30pm. The meeting will take place at the Elibank Suite, Mercure Barony Castle Hotel, Eddleston by Peebles EH45 8QW. Members will have the opportunity to discuss key issues and a vote will also be held regarding prospective new additions to the SGA Committee. SGA Chairman Alex Hogg will be delighted to welcome all members on the night. We look forward to seeing you there.